Abstract—In this paper, we proposed the Markov Chain Approach (MCA) to evaluate the average run length (ARL) of exponentially weighted moving average (EWMA) control chart when zero-inflated counted are observed in a negative binomial model. Furthermore, the efficiency of the MCA is compared with Monte Carlo Simulation via the CPU times which the former is much saving computational times used when compared with the latter method. Index Terms—Exponentially weighted moving average, zero-inflated negative binomial, average run length, markov chain, computational times. The authors are with the Department of Applied Statistics, King Mongkut’s University of Technology North Bangkok, Thailand (e-mail: chanaphunc@kmutnb.ac.th, swns@kmutnb.ac.th, yupaporna@kmutnb.ac.th). 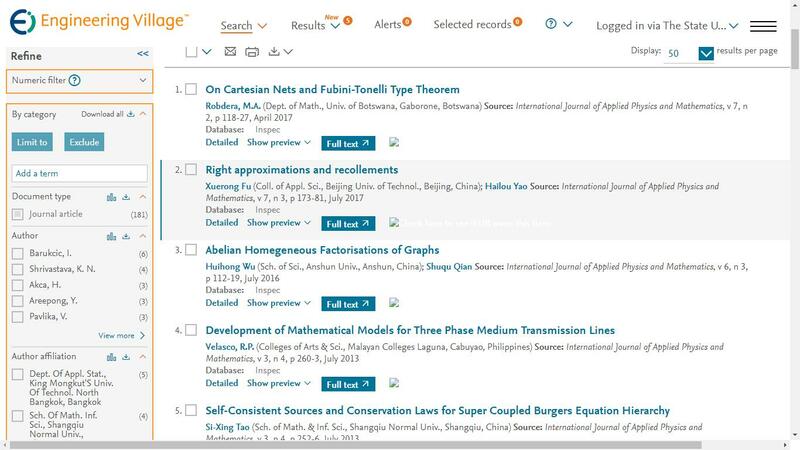 Cite: C. Chananet, S. Sukparungsee, and Y. Areepong, "The ARL of EWMA Chart for Monitoring ZINB Model Using Markov Chain Approach," International Journal of Applied Physics and Mathematics vol. 4, no. 4, pp. 236-239, 2014.